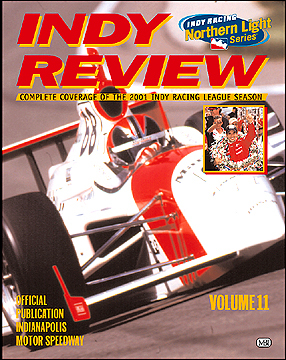 This is a yearbook for the Indy Racing League (IRL). Sam Hornish and the Panther Racing Team was the class of the IRL as they won the 2001 title. A section of the book is devoted for the 2001 Indy 500 which was won by the Penske Racing Team with popular driver Helio Castroneves.